Tucked away in the streets of Sukhumvit 15 is this quaint Irish Pub called The Drunken Leprechaun (TDL). From the outside it looks grand but as soon as you step in, all the fun begins. And why not? 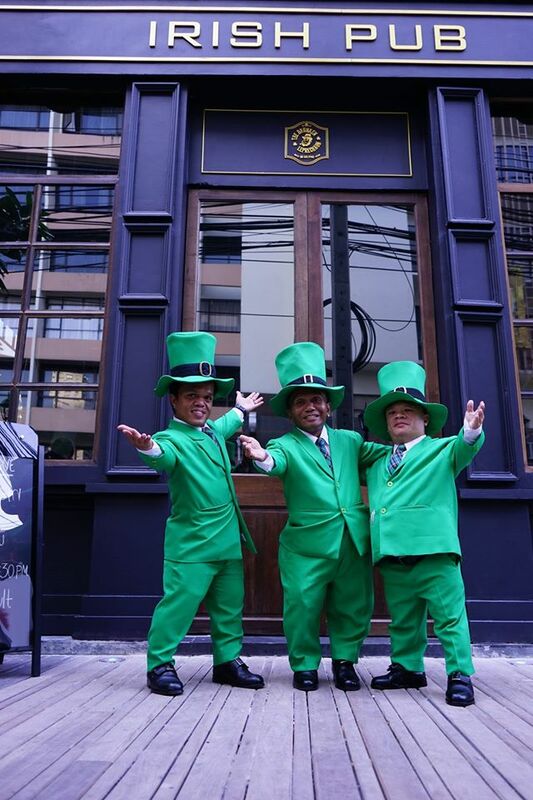 The Irish and leprechauns are known as a merry bunch. 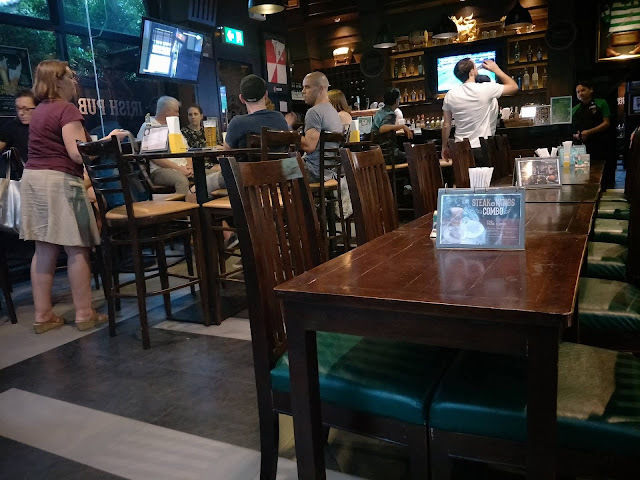 The Drunken Leprechaun offers a relaxed ambiance for diners or for those who simply just want to hang out, chill at the bar, watch sports on the telly or simply listen to the live band. Oh, TDL also has a weekly quiz night in case you want to test your mental prowess. 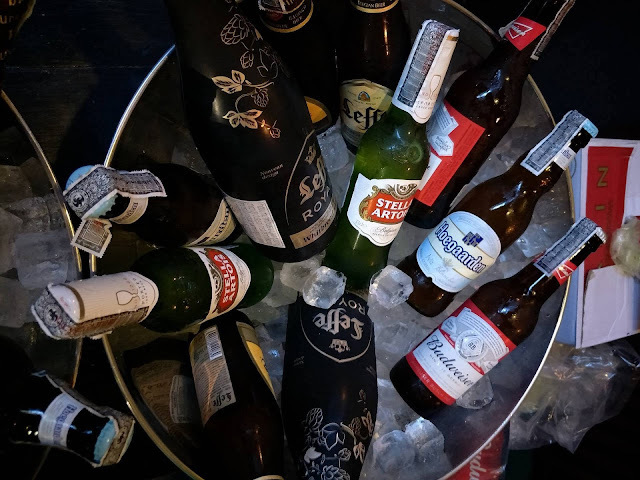 "Save Water, Drink Beer!" The Drunken Leprechaun has a lot of mouthwatering Irish & other favorite International and local dishes to offer but of course, it also has a very extensive list of beers, cocktails, whiskey & bourbon, cognac, and even wine & champagne. Aside from the main area, TDL also has a "secret" room that provides a backdrop for intimate conversations or private parties. 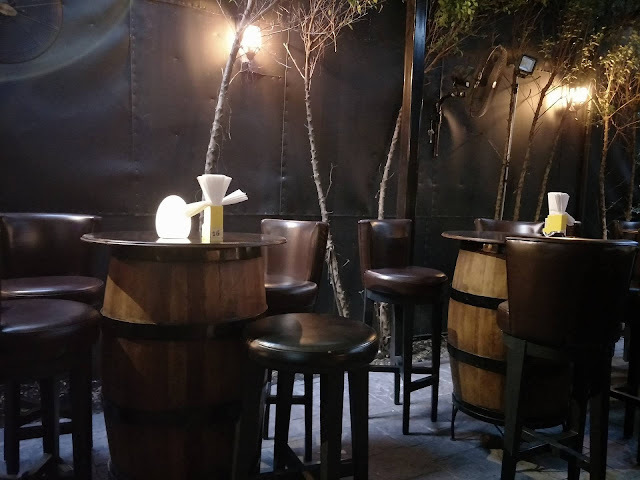 What's interesting here is that the room actually uses barrels as a tables and it adds to the overall magic to the place. I was half expecting real leprechauns to suddenly pop out of the barrel! 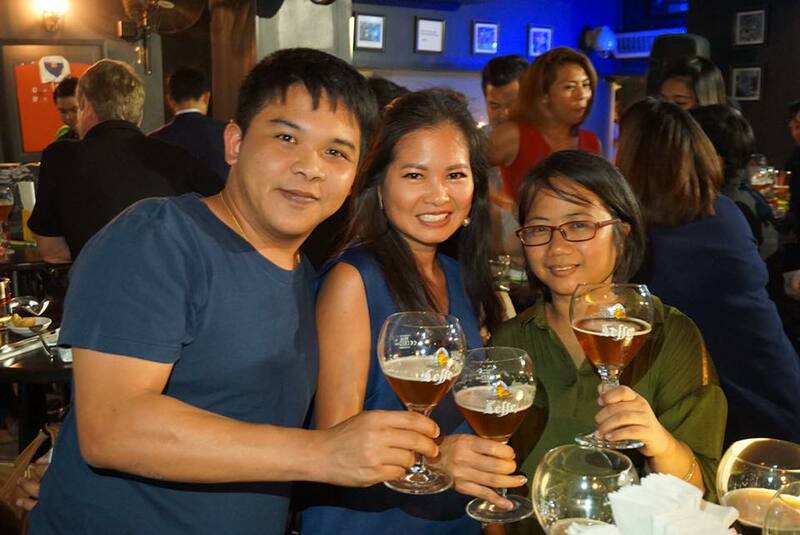 Leffe Beer (or Abbey Beer) has its origins in Belgium in the Abbey of Leffe. 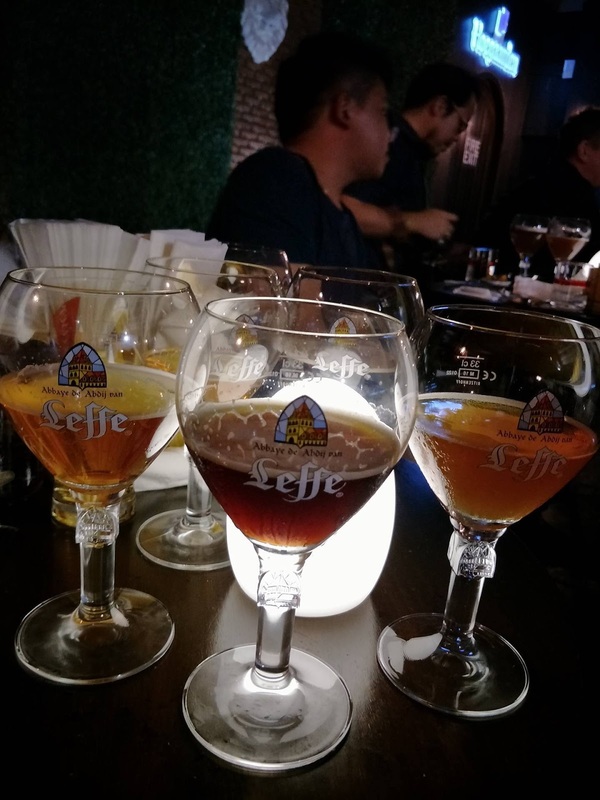 The monks started brewing ale in the mid 1200s and from then on, it has produced a line of different Leffe variants from Leffe Blonde, Leffe Brune, and to its latest Leffe Royale (Leffe Royale Whitbread Golding). Leffe Royale is the "champagne" counterpart of beers. It has a robust flavor with a hint of vanilla that is perfectly paired with The Drunken Leprechaun's seafood pie. 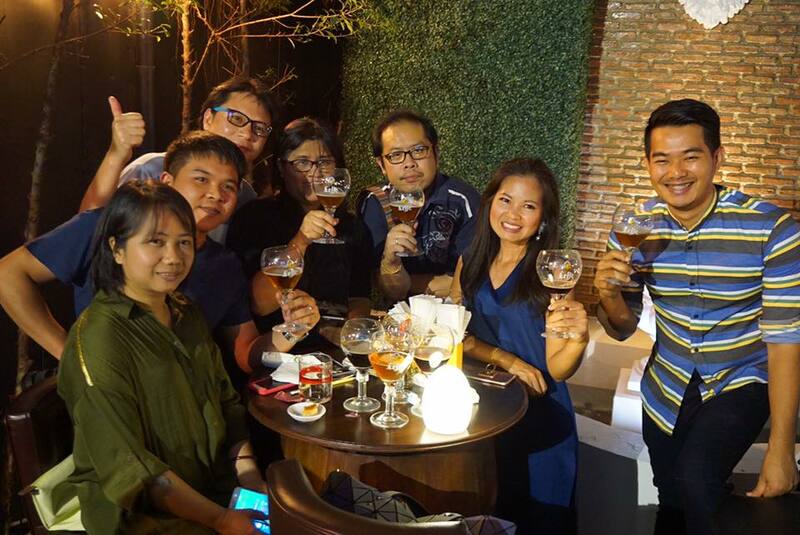 The delicate flavors of the seafood pie compliments well with the bold and strong taste of Leffe Royale. And happy to meet my new Thai blogger friends- Ratklao Wattanakit, Noppadol Phokachaipatana & Unchana Ont Cu. Of course, another highlight of the trip is to document it and this is where Globe Roaming comes in handy. I was able to post ATM photos on my Instagram (@vivamanilena) and Twitter (@vmtkg). 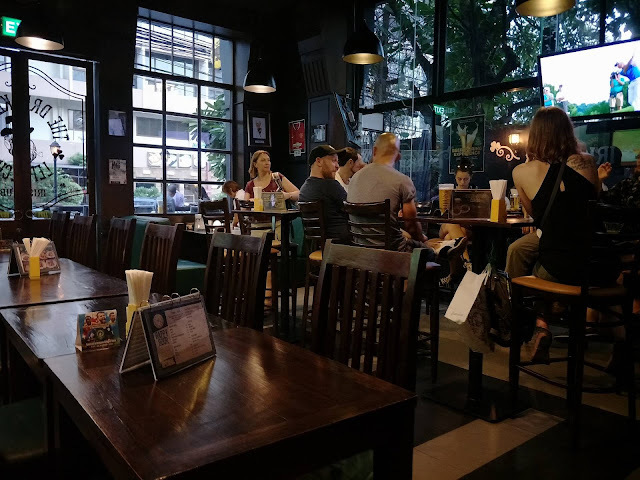 Oooh, it's like this place in Malate before called The Hobbit House. Unfortunately, the founder already passed. I don't know if his family continued on his legacy. P.S. love the secret room. Nice place. 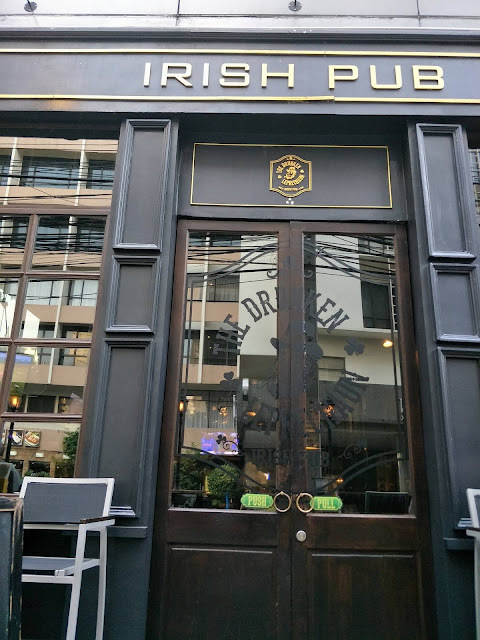 Honestly, the place doesn't look like a pub when outside. 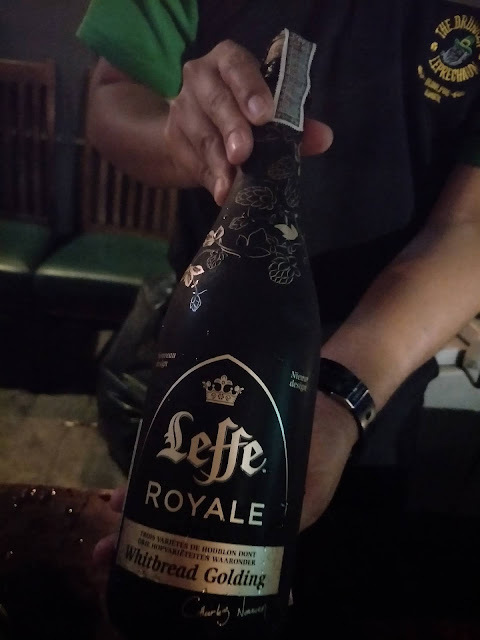 I would like to sample that Leffe Royale, though I doubt if I could make it home.